BUT – Tickets will be available in the cathedral from 2pm to 5pm and on the door on 7th May 2016. For our final concert this season, we perform many of our favourites. 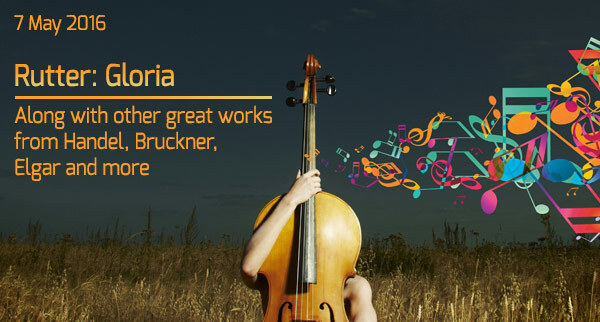 Our centrepiece is Gloria, by John Rutter, a composer synonymous with wonderful choral music. Elegant, gothic, eerie and stunningly beautiful. Surrounding this choral gem are familiar works by Handel Zadok the Priest, Vaughan Williams Te Deum, Elgar Civic Fanfare and Ecce sacerdos magnus, Bruckner, Boulanger, Balfour Gardiner and of course, Parry I was glad.